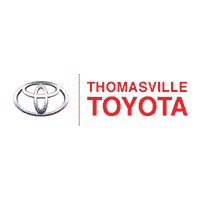 Thomasville Toyota is here to help those that have some mechanical knowledge under their belt and enjoy working under the hood of their Toyota on the weekends. Let us help you gather all the genuine parts you need and ensure you’re able to get the job done safely; after all, your safety is our top priority. We can answer any part related questions you have and listen to a description of your personal style so that we may suggest some quality accessories! Don’t worry if you’re not mechanically inclined, our service department will ensure your needs are taken care of! Our dealership is fully stocked with a range of quality brands so make the trip over to our Thomasville, GA location to start shopping or reach out to us now! We’ll introduce you to all our current offers that help you save some money when ordering those genuine OEM accessories so what are you waiting for, give us a call today!